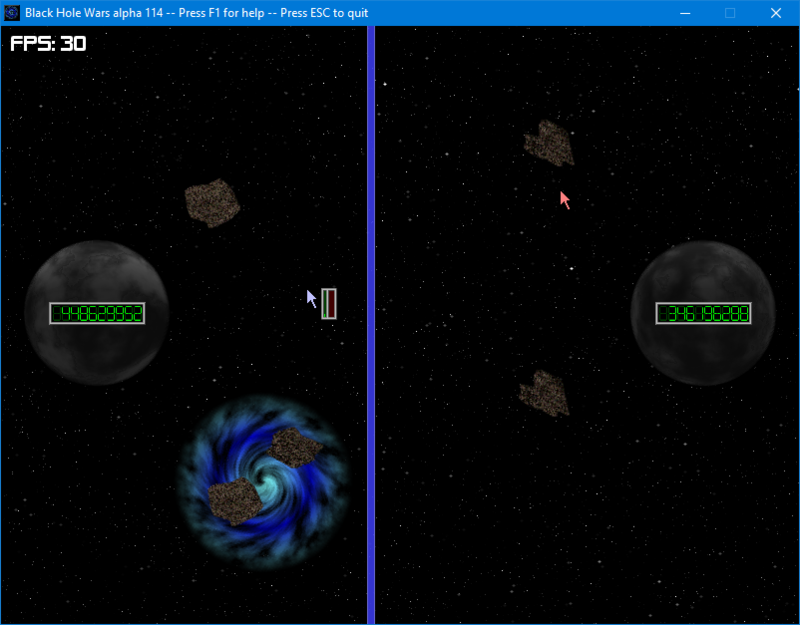 Black Hole Wars is an unfinished game from 2008 when I first started experimenting with GameMaker. The concept originated on the Hamumu Software forums, and involved two warring planets using “black hole bombs” to slingshot asteroids around. At some point I lost the source file for the game, leaving only a compiled Windows executable for the most recent “alpha version”. If you’re cool with running random untrusted executables, you can give it a shot using the download link right below this very sentence!